I’ve been wanting to give cloth napkins a try for a while. So I finally sat down to sew napkins, and cut out a whole mess of them. Then they needed something to keep them organized on the table, so I sewed a storage box for them too – and wrote an extra tutorial you can find at that link. Since I was mostly going to use these for the boys, I didn’t cut them out to the standard 22″ x 22″ dinner napkin size – I think that would be so big that the boys would actually make a mess instead of using them to clean messes. So I made mine about 12″ x 12″ squares. 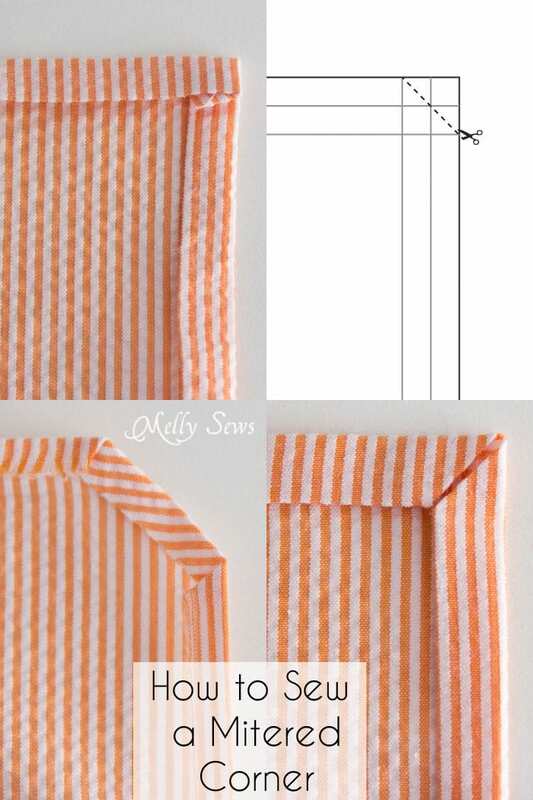 Unfold the edges and cut at a 45 degree angle, using the fold lines to help you determine where to cut. I diagrammed this step so you could see more easily where you should cut. Fold the 45 degree edge 1/4″ to the wrong side. Then fold the straight edges in 1/4″ to the wrong side. Fold the straight edges in 1/4″ again – this will leave you with a nice mitered corner. But even though I love a good mitered corner, they take a while. And I still had a pile of napkins to go. So, I grabbed the rest of my napkins, with their 45 degree cut corners, and sat down at my Babylock Imagine and started doing rolled hems. One of the things I love about the Imagine is how easy it is to switch to rolled hems. With my old machine I literally had to remove the stitch finger, then the left needle, and then spend a while fiddling with the tension. With Imagine I just remove the left needle, then turn three knobs and I’m ready to go – with perfect tension. 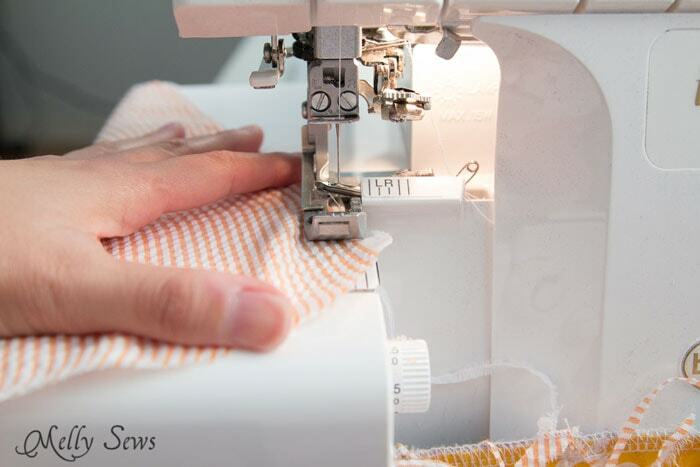 If I could marry a sewing machine…lol! Anyway, since I had already cut the corners at 45 degrees, it made it super easy to just sew right around the corners and make a rounded edge – which made hemming these much faster. And before I knew it, I had a whole mess of napkins to put in my storage box. this and the tray tutorial are the reason I so appreciate your blog. Your fashions are great but the practical things like this makes for a really well rounded repertoire. there really are a lot of neat things we can do with our machines. My kids are older now, but when I had the opportunity to become a stay at home mom after the birth of my third child, I quickly realized how much money we were spending on paper towels. That was 15+ years ago and we’ve been cloth napkin people ever since! I really love them, with a few caveats. Don’t get crazy with them staying “clean” looking. Boys, especially, seem to use them roughly and they will get stained! 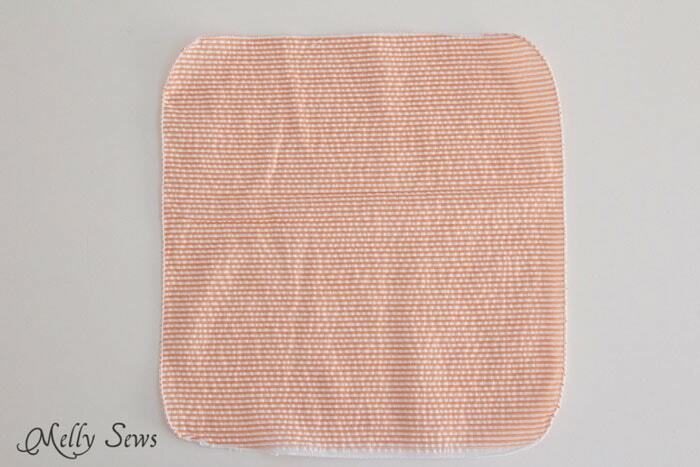 Stained napkins are napkins which are being used as intended. 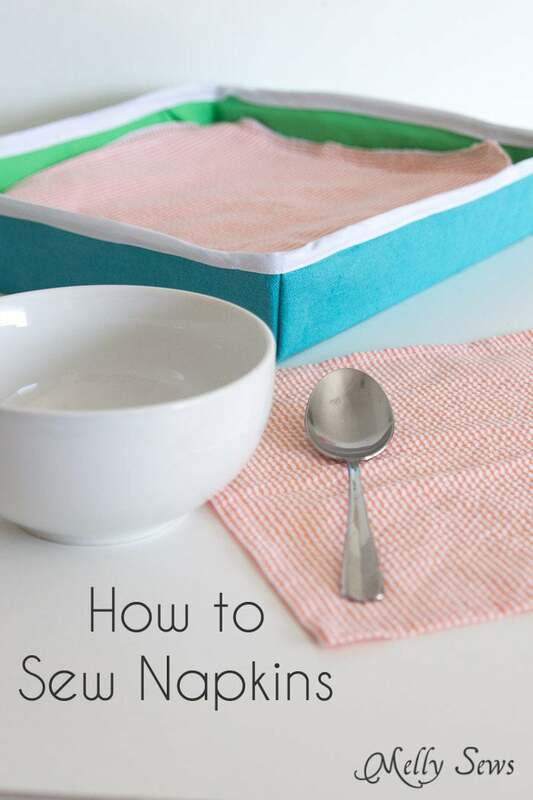 Make enough napkins that you can train everyone to just clear their places and toss their napkins straight onto the washing machine (or in the hamper). They’ll get washed every time you do a load of laundry. 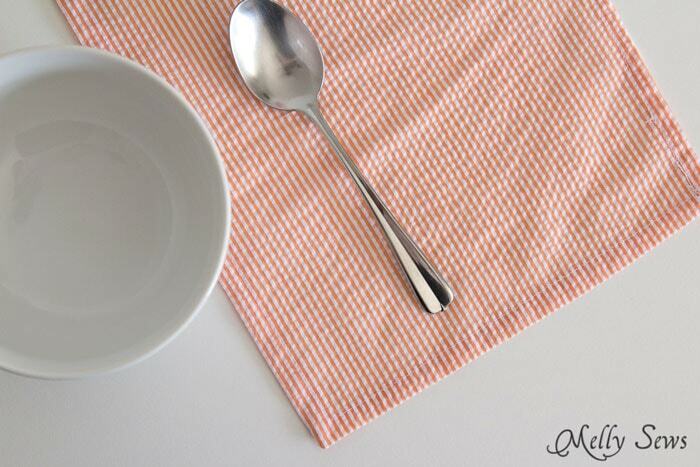 Before you know it, everyone will prefer cloth napkins. As I said, we’ve been a cloth napkin family for 15 years now and I love it. P.S. 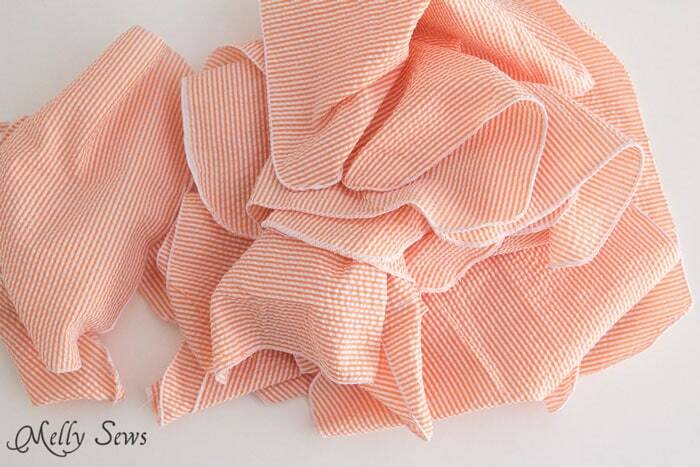 Paper towels can add up, too…reusable kitchen cloths save a lot of money! Great tutorial–just pinned! Those rolled hems are awesome!